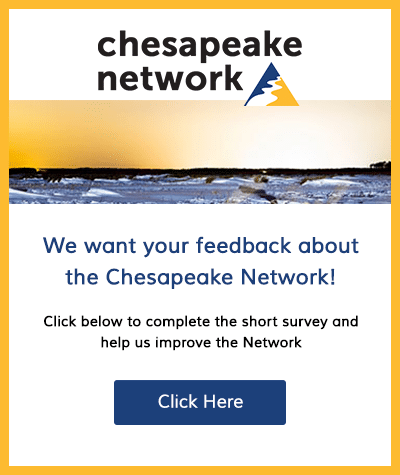 It is the express purpose of the Chesapeake Network (Network) to help you network with your peers by making it easier for you to locate and contact others working to restore the Chesapeake Bay – and by making it easier for them to locate you. 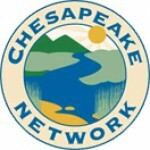 Once you sign into the Chesapeake Network, you are not anonymous to the WordPress system that powers it. The Chesapeake Network automatically receives and records information on our server logs from your browser, including your IP address, cookie information, and the page you request. Users should be aware that other websites visited before entering the Network might place personally identifiable information within a User’s URL during a visit to their website and the Network has no control over such websites. Accordingly, some of this information may be logged by a subsequent website that collects URL information. When registering with the Network, you provide personal information about your role and focus in the restoration of the Chesapeake Bay, as well as create a password, provide an email address, and optionally a photo. To reduce third party email harvesting and spam, the Network offers email masking and relay when Users choose to communicate with other. We also encourage Users to choose an email address where they will be comfortable receiving email responses from other users if they choose, at their sole discretion, to post their email address publicly in the community. Because you may voluntarily disclose any personal information in these public areas, you should be careful about the information you choose to disclose. the Network does not control that disclosure, and is not liable in any way for anyone’s use or misuse of the information in the disclosure. In other words, use caution and judgment here. You can decline to share personal information with us by not registering with the Network. Further, you may opt to remove any personal information from our active database by canceling your account and asking the Chief Administrator to delete your information. The Network does not intentionally gather Personal information about visitors who are under the age of 13. We will send you administrative messages, and email updates regarding your account or the online community generally. In some cases, we may also send you messages about events and opportunities of interest to the conservation community. You may opt out of receiving messages by canceling your CWN User account. WordPress uses IP Addresses also help us to diagnose problems with its server, to administer the online community, and to otherwise provide the Network service to its users. IP addresses may be disclosed to a third party if we believe in good faith that the law or legal process requires it, or to protect the rights or property of the Network, its Users or the general public. The Network may disclose Personal information if required by a subpoena or other judicial or administrative order, where required by law, or, at our sole discretion, where we deem necessary to protect the safety of any individual or the general public or to prevent violation of our Terms of Service or the rights of the Networkor any third party. The Network may need to provide your Personal information to third parties to deliver specific services to you (such as event registration or credit card payment processing). These third parties are required not to disclose your Personal information and not to use your Personal information other than to provide the services requested by the Network. The Network uses industry standard security measures to protect the loss, misuse and alteration of the information under our control. Although we make good faith efforts to store the information collected by the Network in a secure operating environment that is not available to the public, the Network cannot guarantee complete security. Further, while we work hard to ensure the integrity and security of our network and systems, we cannot guarantee that our security measures will prevent third-party “hackers” from illegally obtaining this information. The Network does not assume any liability to third parties whose information may be included in your Address Book. Users may, at any time, choose to correct or update the information they have submitted to the Network, by going to their account. Users may remove their User information from the Network’s live database by canceling their account. Even if you update or remove your information from our live database, however, your Personal information may be retained in our backup files and archives. Any unauthorized use of the Network computer systems is a violation of the Terms of Service and certain federal and state laws. Such violations may subject the sender and his or her agents to civil and criminal penalties. The Network reserves the right to revise, amend, or modify this policy and our other policies and agreements at any time and in any manner. Notice of any revision, amendment, or modification will be posted on the Network, and a User’s continued use of the Network will signify agreement to such changes. Copyright 2004. Those who post information may determine what permissions or restrictions apply to the information they post. THE MATERIALS ON THIS WEB SITE ARE PROVIDED “AS IS” WITHOUT ANY EXPRESS OR IMPLIED WARRANTY OF ANY KIND INCLUDING WARRANTIES OF MERCHANTABILITY, NONINFRINGEMENT OF INTELLECTUAL PROPERTY, OR FITNESS FOR ANY PARTICULAR PURPOSE. THE OWNER OF THIS SITE DOES NOT WARRANT ACCURACY OR QUALITY OF THE CONTENTS OF THIS WEB SITE. IN NO EVENT SHALL THE OWNER OF THIS SITE BE LIABLE FOR ANY DAMAGES WHATSOEVER ARISING OUT OF THE USE OF THIS WEB SITE. This web site may be linked to other web sites which are not maintained by the owner of this site. The owner of this site is not responsible for the content of those web sites. The inclusion of any link to such sites does not imply endorsement of the sites. The owner of this site makes no representations whatsoever about any other web site which you may access through this one.